1. How did you choose your genre? What made you write this book? Retribution chose me. I hadn’t consciously set out to write a romantic suspense, but I did feel strongly about a couple of social and moral issues. This story is my way of paying tribute to the people who have endured more than most. Those who have lived hellish childhoods, those who have fought for our freedom, those who have experienced unimaginable trauma and those who may never recover from their suffering. With the overarching theme of forgiveness and redemption, Retribution pays homage to the human condition in all its glory and misery. Writers write what they know, and must observe the world. Are you a first born, middle or last child and how does this shape your view of the world? I’m an adopted only child, which I love and wouldn’t have it any other way. I have a rare insight into human behavior, which I have studied all my life, as I’m an only child by nature and by nurture.3. Where is your favorite place to write? In my spacious purpose-built office overlooking a canal on the Gold Coast.4. How do you feel about killing your darlings, and what do you do with the remains? When I first started writing this was difficult, so I put them into a Darlings File in my pc, thinking I might use them one day. I never did. Now, I happily kill them off to make my stories sharper and tighter. 5. You are introduced to your favorite author. Who is it, and what is that one burning question you must ask them? Hard question, as I don’t have one favorite author. However, I think I’d like to sit down with Nora Roberts and ask her what she’d do differently if she was to commence her career today. 6. Inquiring minds want to know…tell readers something about you that no one knows. I trained in ballet and have recently set up my own dance studio at my home. I love working at the barre again and practice every day when I’m not at the gym. She’s a ballerina with a dark secret. He’s a retired sniper with a tortured past. 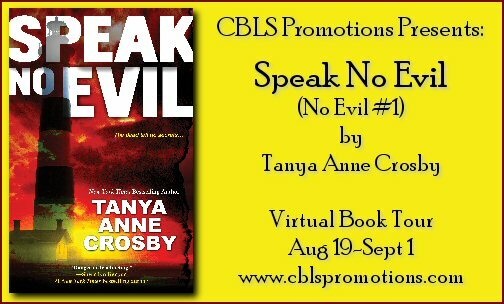 Will they find love or fall prey to a stalker’s deadly game? Professional ballerina Jessie Hilton wraps her battle scars in satin pointe shoes, but there’s a deeper hurt that haunts her sleep. When a handsome man steps in to save her from a mugging, something about her hero makes her heavy heart leap. Though her career can’t afford distractions, he may be her sole source of safety when she gains the unwanted attention of a relentless stalker. Ex-sniper Brad Jordan survived his tour of duty, but a tragic accident cost him the lives of those closest to him. With his faithful border collie Whiskey by his side, Brad gets a second chance when he protects the beautiful Jessie from danger. When the ballerina’s stalker grows more brazen, Brad’s tactical training may be their only weapon against tragedy. Will Jessie and Brad survive a deadly game, or will the assailant destroy their chance at love? 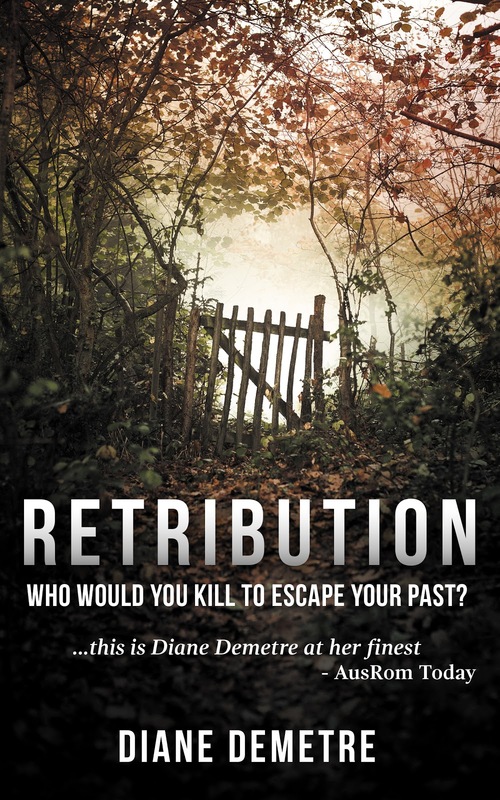 Retribution is a standalone romantic suspense novel. If you like tough-as-toe-shoes heroines, second-chance romance, and page-turning plots, then you’ll love Diane Demetre’s heart-stopping saga. Cold, damp and hard—wherever she was, it wasn’t her bed. Scattered thoughts whirled in her head as she searched for recent memories. A pungent smell lingered in her nose wakening her further. It reminded her of science class. What was it? Chloroform? Crunched on her side, her body cried for movement and she strained to focus on her surroundings. But she couldn’t. She was groggy and dazed and there was no light by which to see. Exhausted, she heaved her hand in front of her face, but she couldn’t see that either. It was as if it wasn’t there. Absolute, petrifying blackness. A nightmare. It was another nightmare. But she knew it wasn’t. Now fully conscious, she lay somewhere dank and cold, in pitch blackness. The inability to see rendered her immobile, preventing her any chance of escape. Even if she began to crawl, feeling her way, she might tumble down a precipice or a staircase. She didn’t even know whether she was lying on the ground or on something man-made. All she knew was it was rock-solid, cold and a little uneven. He’s left me here, alone, to die. The thought scared her even more than her captor returning. She rolled carefully onto her back. Stretching her body, she used her hands and feet to check that she wasn’t about to roll off wherever she lay. Once assured she was safe, she relaxed a little. Deep, controlled breaths cleared her mind and nose of whatever drug he’d used. With no idea how long she’d been unconscious, she existed in an abyss of unknown time. She struggled not to panic. As she stared into nothing, her sense of what was up and what was down destabilized. The subtle illusion of losing her balance teased her inner ear, increasing the fear. Rolling over slowly, she managed to get onto her hands and knees, connecting with the surface below to correct her equilibrium. Head lolling forward, she froze— humiliated, helpless and hopeless, overcome with despair. Minutes slipped by or was it hours? Blair will be awarding a $15 Amazon or B/N GC to a randomly drawn winner via rafflecopter during the tour. 1. Woohoo! You are a published author. Describe a strong character trait you possess, good or bad, and how it helped you become a published author. I believe in myself. I believe I write interesting stories, peopled with believable characters. This belief sustained me through two years of rejections of my first novel, The Memory of Roses. I knew I would eventually find a publisher or an agent, and I did. 2. Sometimes an author begins writing a story before they are aware of its genre. Did you choose your genre, or did it choose you? I have sort of slipped gradually into my genre. I write romantic suspense. I’m aware of that now. I wasn’t aware of it when I wrote my first book, but even that one, had elements of suspense. Now, with Romantic Road, and with my work in progress, “Where Lemons Bloom”, I am firmly grounded in the genre. 3. The plot thickens, or does it? Which one are you, a pantser or a plotter? I am very much a plotter. I work with a chapter by chapter outline. But every once in a while one of my characters just refuses to follow the plan. I change the outline when that happens. 4. Fear 101: As writers it is our duty to make our characters face their fears. Have you ever included one of your own fears in a storyline? Of course. How can anyone write well about something they haven’t experienced or feared experiencing? In the opening lines of my work in progress, “Where Lemons Bloom”, a character is drowning. I swim. I love swimming in the ocean. I fear drowning. I’ve been tumbled more than once by an unexpected wave. 5. Fear 102: Yes, deadlines are terrifying. Have you conquered the juggling act between writing and the rest of your life? What do you do when it feels like the balls are dropping all around you? I run a B&B summers. Talk about my time! But I write afternoons. I’ve become a past master of stopping mid-sentence when I have to, and picking up again later. Life does interfere. 6. Switch positions with one of your main characters in a scene. What is the outcome, disaster or divine intervention? If I were Ian in “The Memory of Roses”, the whole plot would have changed. I’d have stayed with Maria and to hell with my cold, unfeeling wife. And there wouldn’t have been a novel. 7. Where is your favorite place to write? Add that one comfort food that you can’t do without. In Canada, it’s in my comfy recliner with a lap board. In the winter I retreat to my home on the tiny Caribbean island of St. Eustatius. There I write on the veranda, where I can see the sea and watch the birds at their feeder. In Canada I drink hot apple cider. In the Caribbean, pineapple juice (occasionally with rum). 8. Writing inspirations? Places. Interesting wonderful places always seem to suggest stories to me. Corfu – We were there for eighteen days. The story came to me almost completely before we left. “The Memory of Roses”. The Romantische Strasse in Germany, “Romantic Road”. The Amalfi Coast of Italy, my work in progress, “Where Lemons Bloom”. I wish I could manage even a three book series. I think in complete stories. I’d like to write series but can’t seem to do so. 10. I’ve gone mad – why don’t you come with me? Some people just don’t understand us writers. Name a quirky, writer-thing you do that friends wish you didn’t. I carry a notebook with me at all times. I write down snippets of conversations I overhear on buses and in restaurants. I try to write dialects and unusual accents down. I talk to waiters and hotel clerks and anyone else I can get to talk to me when traveling and make notes as they talk to me. It drives my traveling companions mad. But it’s all grist for the mill. As Max studied him, the man was joined by his partner. Blair McDowell wrote her first short story when she was eleven and has never ceased writing since, although only recently has she been able to return to her first love, writing fiction. During her early years, she taught in universities in the United States, Canada and Australia, and wrote several highly successful books in her field. Her research has taken her to many interesting places. 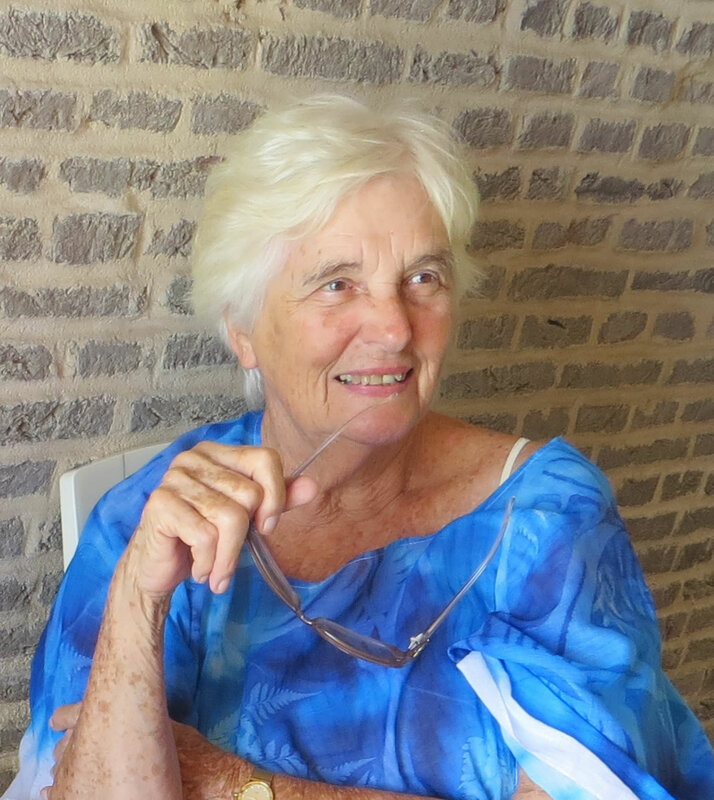 She has lived in Europe, Australia, the United States and the Caribbean and Canada, and spent considerable time in still other places, Iceland, the Far East, and the Torres Strait Islands off the coast of New Guinea. Now she travels for pleasure. Portugal, Greece and Italy are favorite haunts. Her books are set in places she knows and loves and are peopled with characters drawn from her experiences of those places. The Memory of Roses takes readers to the Greek Island of Corfu, where a young woman finds her future while searching for her father’s past. In Delighting in Your Company, the reader is transported to a small island in the Caribbean, with a heroine who finds herself in the unenviable position of falling in love with a ghost. The setting for Sonata is the city of Vancouver, with its vibrant multicultural population and its rich musical life, and the heroine is a musician who finds herself in unexpected danger. 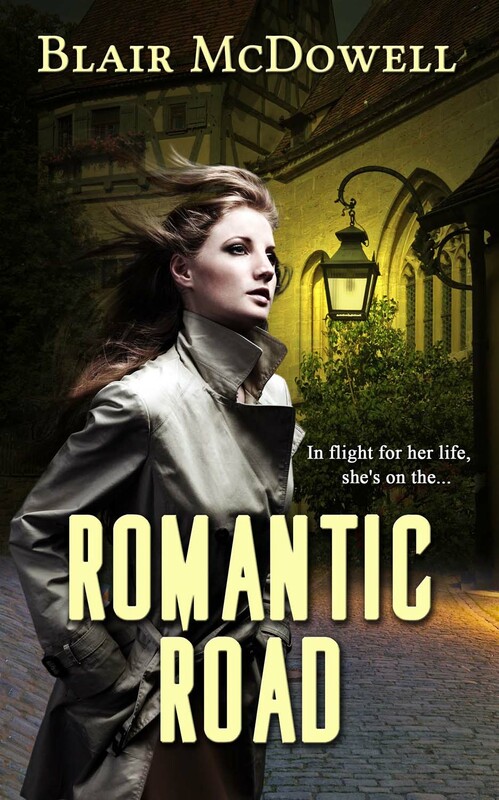 In her most recent release, Romantic Road, Lacy Telchev, is pursued along Germany’s famous Romantische Strausse as she follows clues left by her late husband in order to solve a mystery that she doesn’t understand, while being chased by dangerous and cunning adversaries. She hopes her readers will enjoy reading these books as much as she enjoyed writing them. Blair is a member of the Romance Writers of America, Romance Writers of America (Greater Vancouver Chapter), the Romance Writers of America (Women’s Fiction), and The Writers’ Union of Canada. A series of kidnappings and murders resurrect the sisters’ memories of their brother’s disappearance as a child–and Caroline fears she may be next. Yet in the midst of her turmoil, she may be rekindling a romance she’d extinguished long ago. With Jack back in her life and the tattered bonds of sisterhood slowly mending, Caroline hopes the family can restore its position in Charleston society–unless a sinister force beyond their control tears them apart forever. . . He took another swig of his Guinness and reached into his pocket to grab his cell phone. Three missed calls from Kelly. Zero from Caroline. Then, again, he hadn’t expected Caroline to call. She was as prideful as her mother—damn her! Even ten years later, she wasn’t about to forget a stupid mistake. He set the phone down on the counter and drained his glass, eyeing the cell with some malice. Jack shrugged. “Buried a friend,” he said. And fought with the woman who somehow still managed to consume his thoughts even after all these years, but he didn’t offer up that part. It was nobody’s business. Caroline was the sole reason he couldn’t settle down with Kelly, he realized. Every time he’d considered it, Caroline’s face popped into his head—like one of those annoying carnival games. He didn’t think that was the way it was supposed to be—married to one girl, obsessed with another. There was nothing wrong with Kelly. Okay, so maybe as a description of the past several years, “obsessed” was a bit of an overstatement, because he had pretty much managed to put Caroline out of his head—except whenever life-changing decisions were about to be made. This minute, however, it was a full-on obsession, complete with phantom touches that were hijacking his body. Just seeing her had done that to him. It left him with a sense of longing that was acutely disagreeable, and he couldn’t shake it. Eyeing the phone again, he considered calling her—just so he could stop thinking about her—and it dawned on him that she was probably the reason he had never changed his number. That thought had never even entered his brain before this moment, but he was pretty sure it was true. He wasn’t over her. Worse, he was afraid he was never going to be over her, and the thought of living his life in limbo made him feel like chain-smoking half a dozen packs of cigarettes right in front of her. His cell phone rang and his heart thumped hard. Then he saw the number and felt the letdown: Kelly. He couldn’t avoid her forever. Draining his glass once more, he took out his wallet, paid the tab, grabbed his cell, and almost as an afterthought, reached into his pocket, digging out his last pack of cigarettes, still half full, and tossed them on the bar, then walked out. The phone stopped ringing, but he would call her back. Now that it was all clear in his head, he realized holding on wasn’t fair. 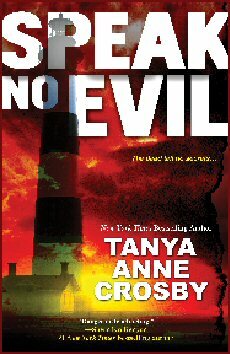 Tanya has written seventeen novels, all of which have graced numerous bestseller lists including the New York Times and USA Today. 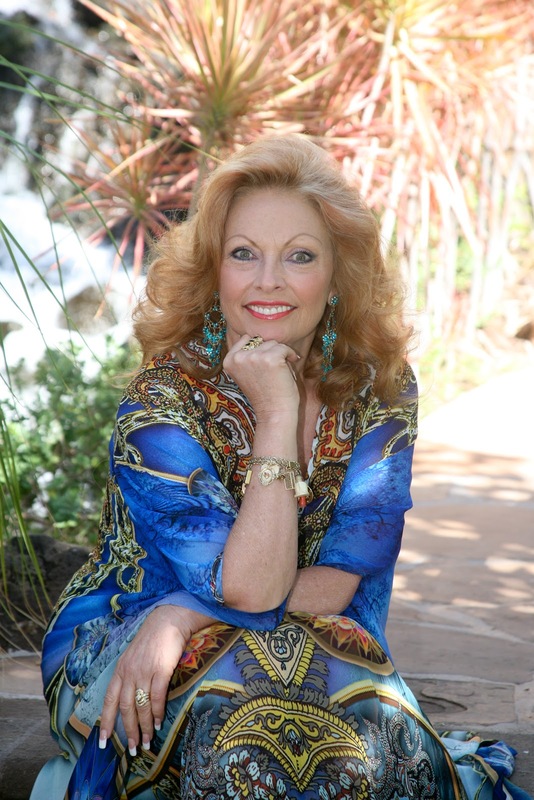 Best known for stories charged with emotion and humor, and filled with flawed characters, her novels have garnered reader praise and glowing critical reviews. She lives with her husband, two dogs and two cats in northern Michigan.